'A Bit of Everything' is for all our podcasts that don't quite fit all our other channel categories! From rain forest to ocean floor... from jungle to wild moor, our eco heroes are everywhere working for our planet with love and care! Jane Goodall's Roots & Shoots 'from little things big things grow' brings you interviews with solutionaries and change-makers from around the world! Interviews with changemakers and leaders in sustainability. Interviews and discussions on health and well-being with leading experts in both traditional and complementary health fields. This channel includes content from both 'Healthy Alternatives' on What a Wonderful World and 'Health Matters' on Primary Perspectives. You can also tune in to 'Healthy ... See More Alternatives' with Viarnne Mischon at 4pm on 1st Thursday each month live on 94.1fm Melbourne tunein.com/radio/3WBC-941FM-s106230/ www.3wbc.org.au. AWARD WINNING RADIO! #Music Matters showcases #interviews, debuts and live #performances from emerging young artists from Australia and around the world! Interviews & book reviews with bestselling authors of children's, youth & adult fiction from around the world. Sports news and interviews with local, national and international sports stars and rising young sports stars! Stories for children from around the world... coming soon! Random and often funny raves from the Primary Perspectives team on a broad range of topics! The Good Earth Sustainable Gardening Show with Mike O'Connell and Kathy Smalley - factual, fun and always entertaining! Covering topics on gardening, permaculture, vege-culture and more! 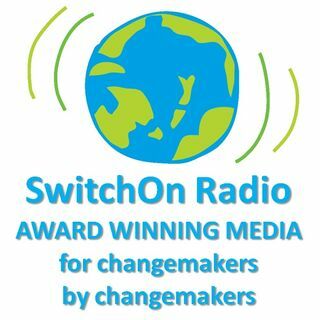 Multi-award winning radio - interviews with leaders and experts in the fields of healthy and sustainable living, social justice, eco-tourism and more! Delicious, nutritious ideas and recipes for kids from bestselling cookbook authors and celebrity chefs from around the world! Wonder Words is all about expanding and exploring vocabulary - impress your family, friends and teachers with all the new words you'll learn on Wonder Words!